Added by Bill Bowman on August 12, 2015. 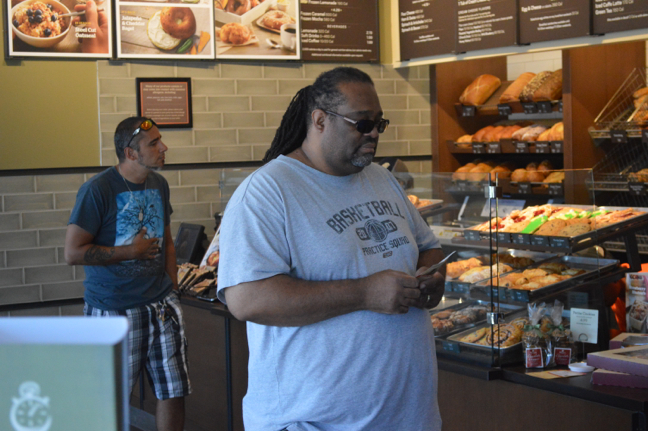 Customers at the Panera To You cafe in Crossroads at Somerset, Elizabeth Avenue, wait for their orders. The cafe is the chain’s first in New Jersey. 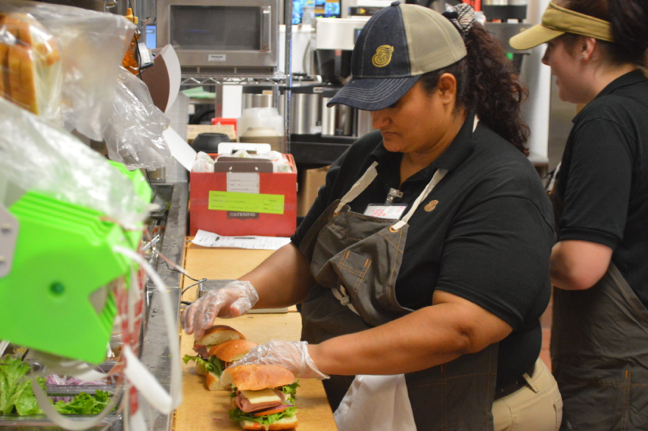 New Jersey’s first Panera Bread concept store emphasizing delivery, takeout and catering opened Aug. 12 in the Crossroads at Somerset center on Elizabeth Avenue. The new concept store, called “Panera To You,” is part of the St. Louis, Mo.-based company’s “Panera 2.0” initiative, which emphasizes the use of technology to ease the process of ordering and delivering food. Company officials, along with township dignitaries, gathered at the Elizabeth Avenue location for the company’s traditional “bread cutting” ceremony. Among those representing the township were Mayor Chris Kelly, Township Councilwoman Roz Sherman (D-Ward 2), Franklin Chamber of Commerce president Michael Harris and Hal Frankel, a member of the chamber’s Board of Directors, and Frank Hasner, executive director of the Franklin Township Food Bank. Panera To You uses a smaller footprint – the township store is 3,555 square feet – and does not offer the seating and eating areas of the chain’s larger locations. The menu is the same as the larger store. 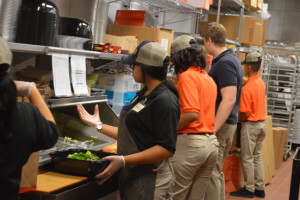 In addition to serving walk-in customers and those who order online, the township location will also serve as the catering hub for Panera Bread locations in Piscataway and Raritan, said Dan Driscoll, the multi-unit manager for the Somerset location. 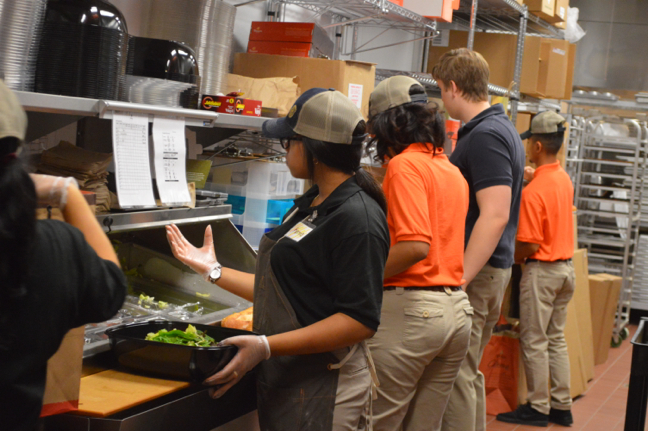 Catering and delivery orders are prepared at Panera To You. Customers in the cafe can order from one of two traditional registers, or they can use one of the eight iPad kiosks arranged in groups of four. Orders can be customized and saved for future ordering. The majority of the cafe’s employees are township residents. Panera To You will also deliver to homes and businesses orders of at least $5 for a fee of $2.50, Cortino said. He said the delivery area radius is about an 8-minute drive from the Elizabeth Avenue location. The company also offers an app for ordering, as well as an online option, Cortino said. 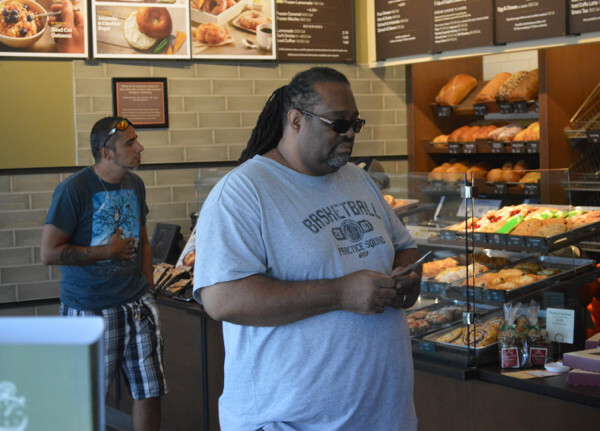 He said the online options can be used for Panera’s new rapid pickup, through which an order will be ready for pickup or delivery 10 minutes after it is placed. There are six other Panera To You locations in the United States, Cortino said. Driscoll said a second New Jersey location is scheduled to open in early 2016 in Plainsboro.